Be inspired by some of the best guest book ideas – guaranteed to look wonderful when filled with your guests’ sweet sentiments. The wedding guest book may not be one of your big day priorities but it will hold everlasting memories of your day. 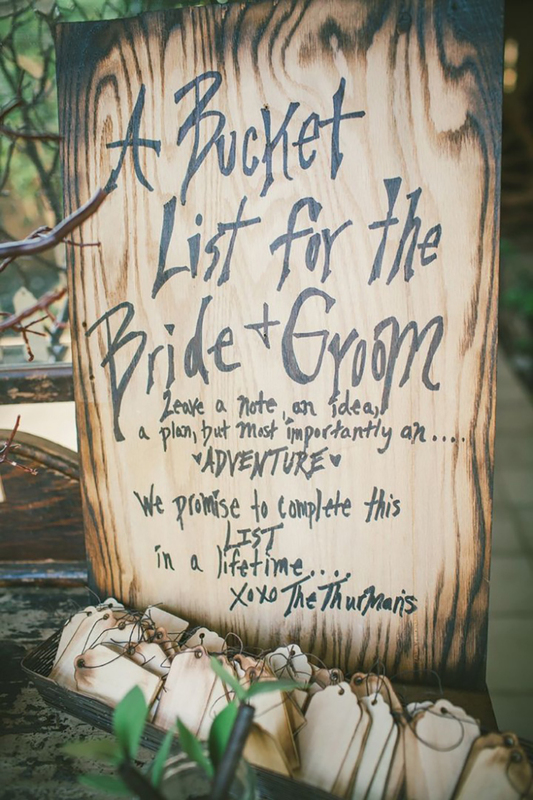 With this in mind, why not choose something meaningful for your guests to sign? 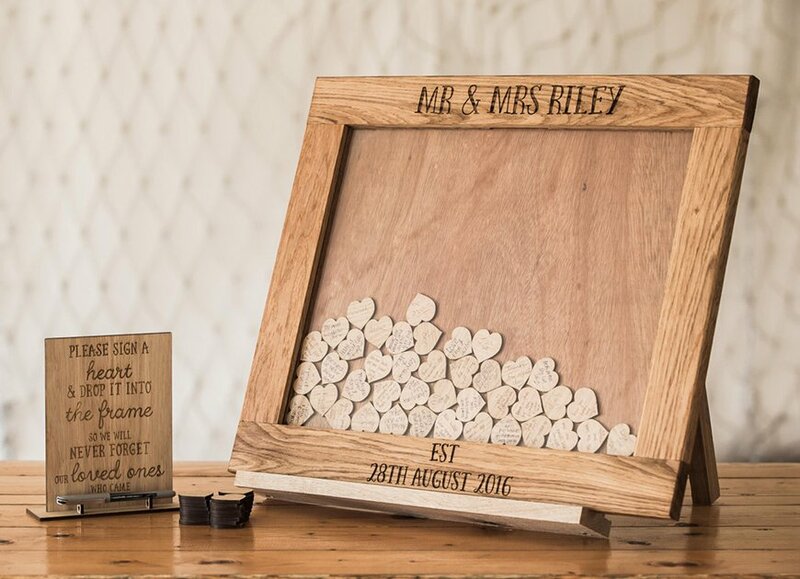 Whether it’s a personalised traditional guest book or something a little more unusual, like Jenga tiles, we’ve got all the best wedding guest book ideas. 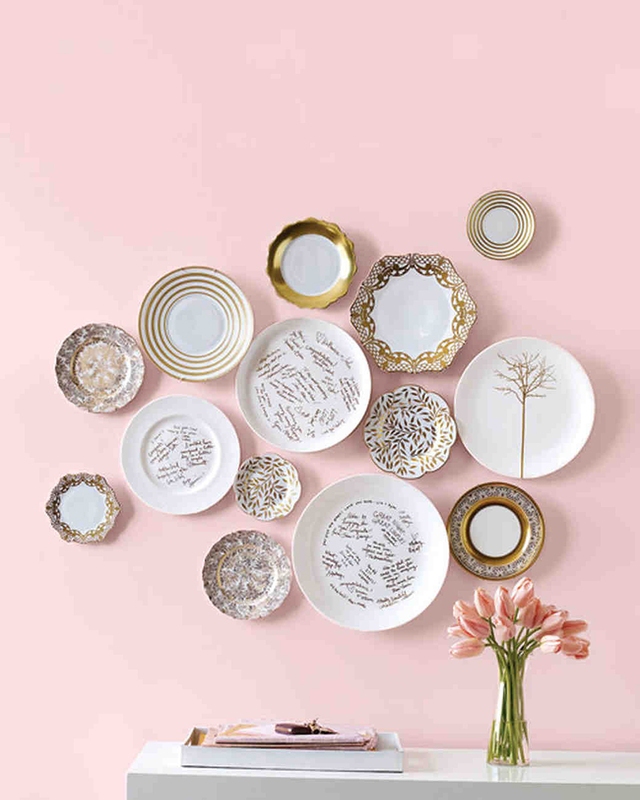 Showcase guest messages on your wall by asking friends and family to leave their notes and well wishes on crockery. If you’re looking for a beautiful keepsake, get your guests to drop signed wooden hearts into a frame and hang with pride in your home. 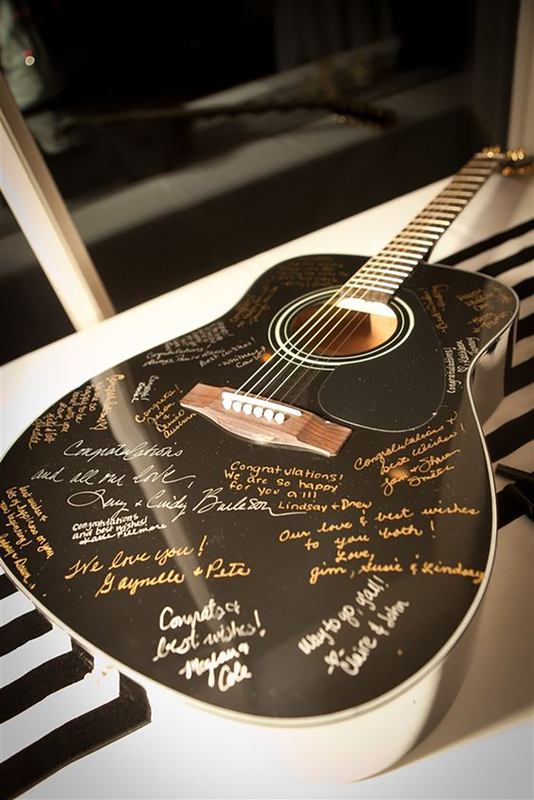 A signed guitar is a great choice for all music lovers and yet another fabulous keepsake. If you’ve got another hobby, why not switch an instrument for something more personal to you? 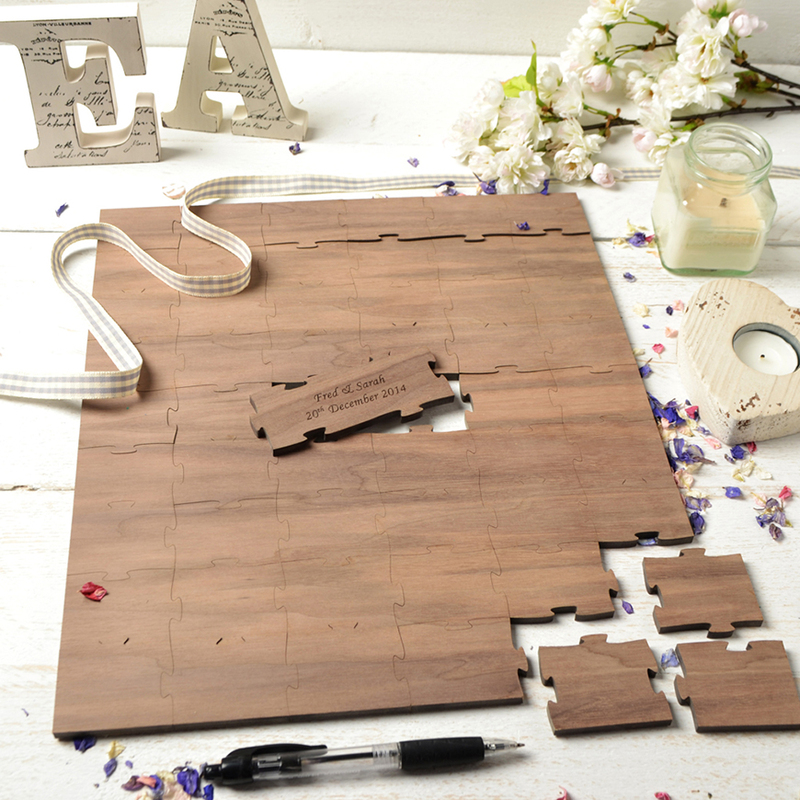 If you’re looking for unique wedding guest book ideas, you’ll love the puzzle guest book. Fun and quirky, it’s sure to amuse all your guests and is compact to store away too. 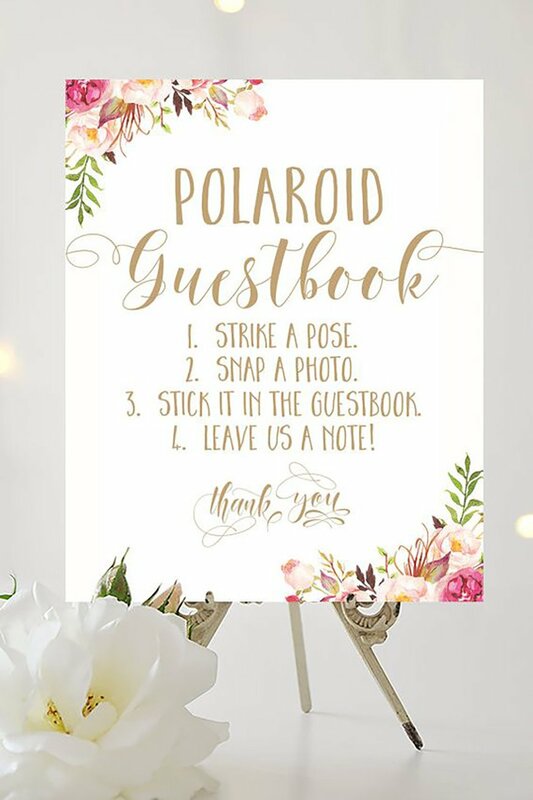 Give the traditional guestbook a twist with polaroid shots. Simply ask guests to take photos of themselves to pop in your guest book and team with a personal message. 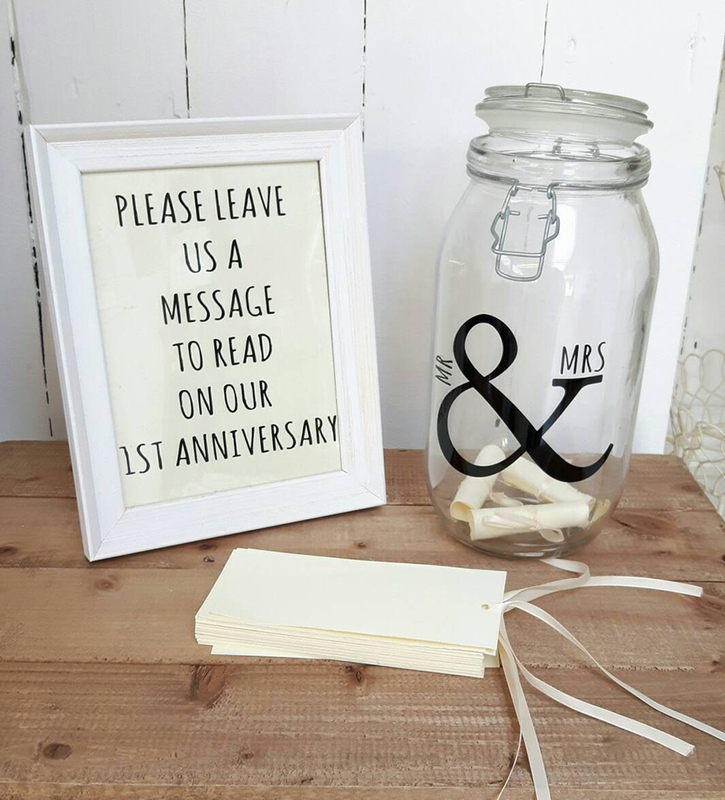 A message in a bottle is one of the most romantic guest book ideas. It’s something easily stored to look back on in years to come. 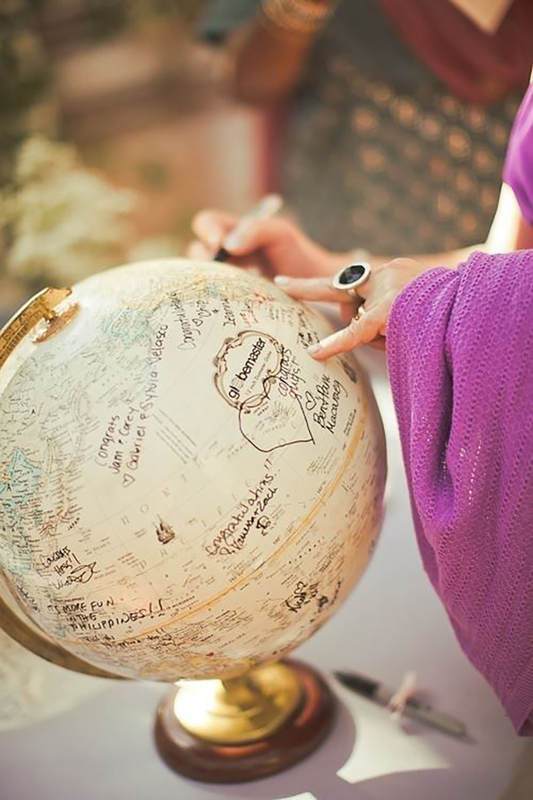 If the two of you are aspiring explorers, swap the traditional guest book for a globe. Family and friends can leave messages on an item that’s meaningful to the two of you. A personalised wooden guest book is chic, stylish and practical. It can be stored away or put up in your home. 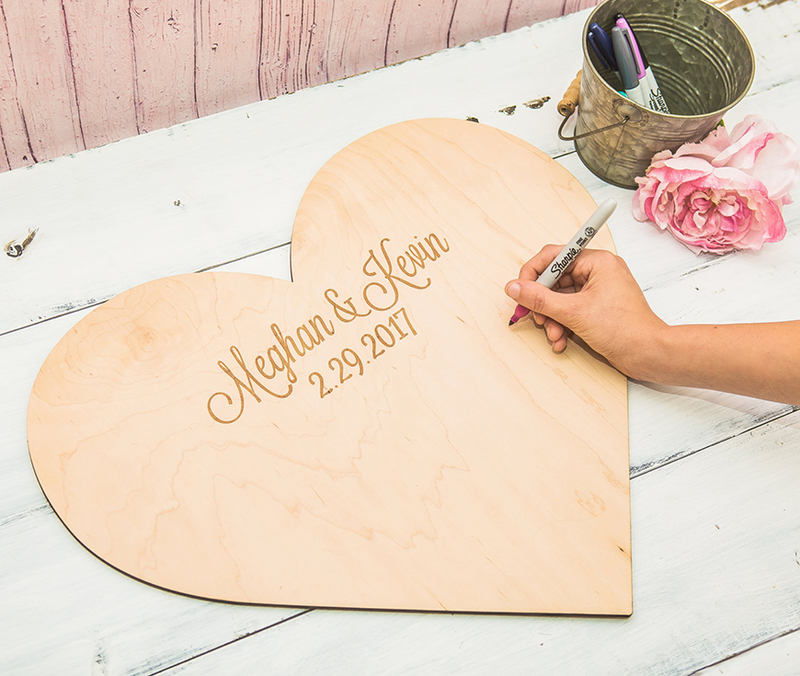 We particularly like this pretty heart-shaped wooden guest book. 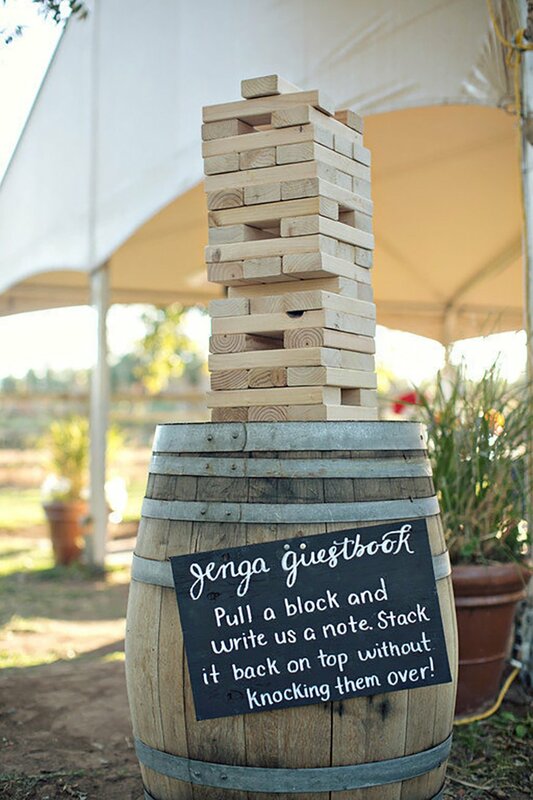 The Jenga guest book has to be one of our favourite modern guest book ideas. 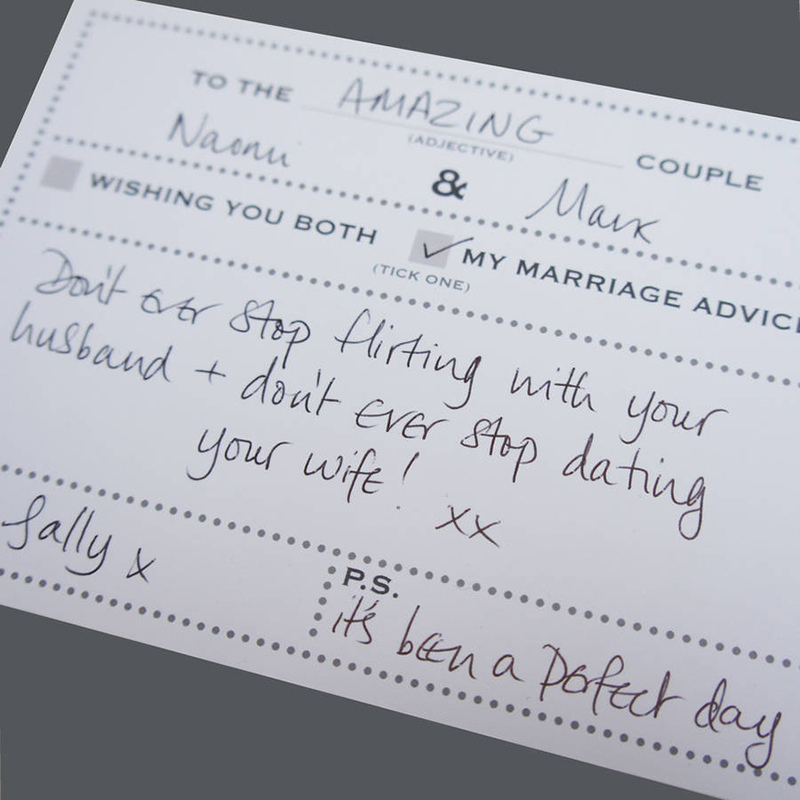 Make sure your guests play along while leaving their messages! 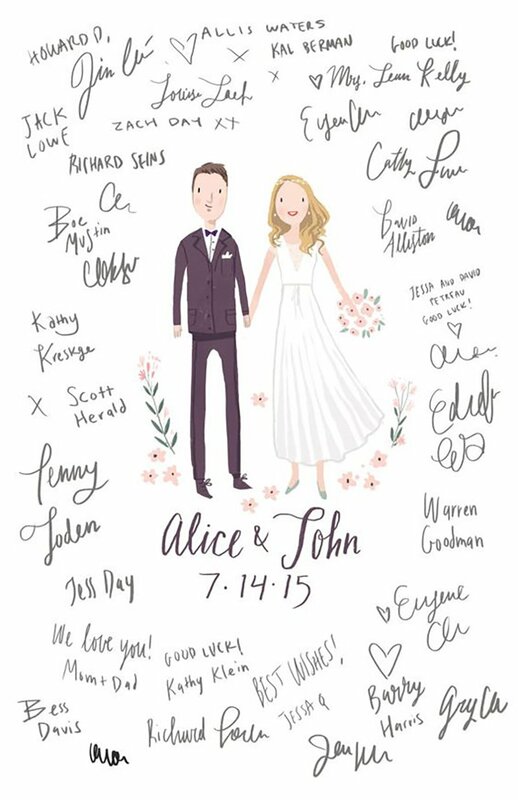 Want to bring your wedding guest book to life? 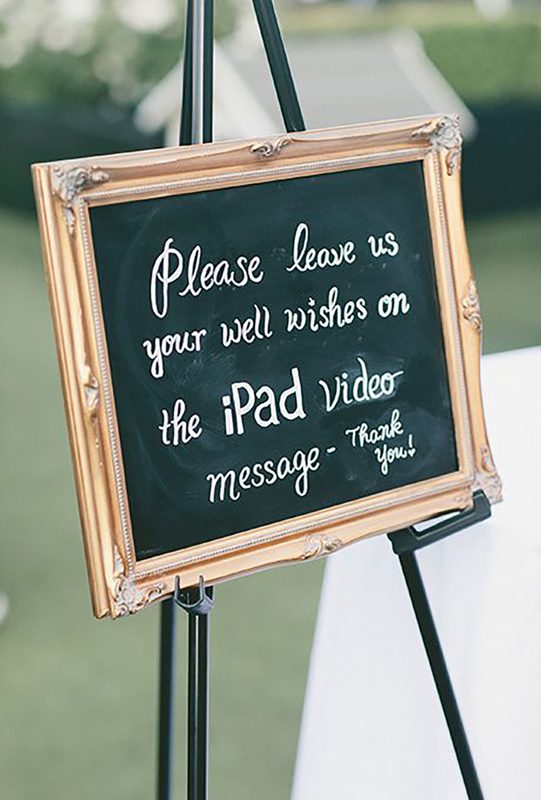 Ask your guests to film their messages rather than write them down for something you can enjoy in years to come. 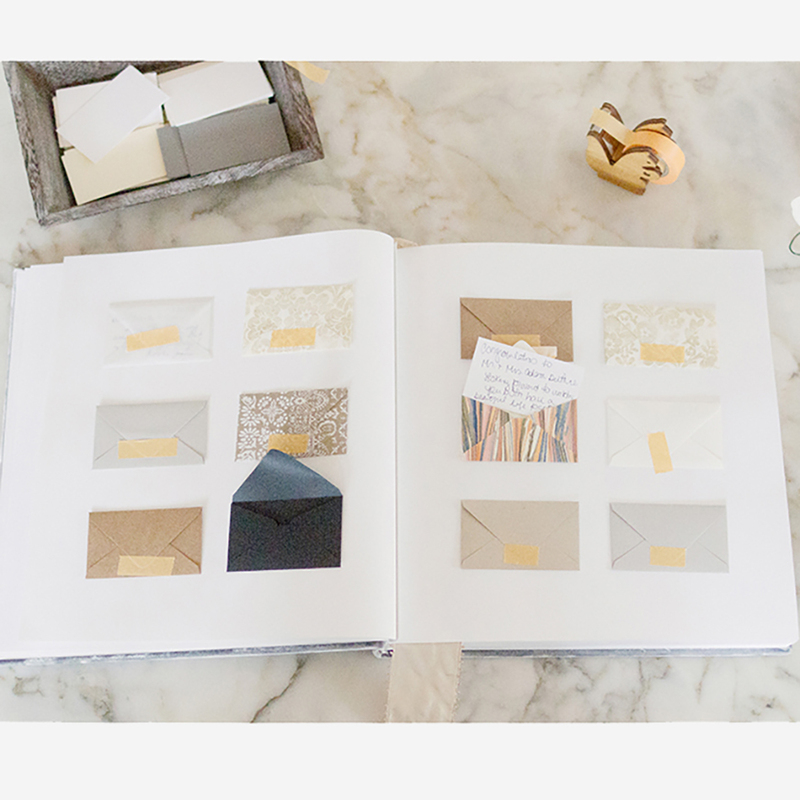 If you’re looking for something cute and quirky, fill your guest book with mini envelopes and notecards. With each note hidden away in its envelope, your guests will have a chance to leave more personal messages. Invite your guests to sign a piece of artwork. You could choose a piece of art themed to your wedding, a caricature or portrait of the two of you or one of your favourite photos. 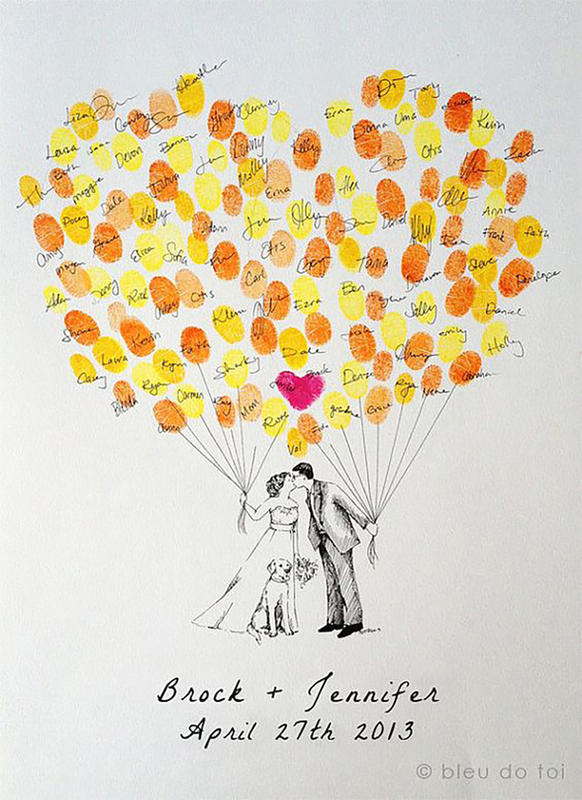 The fingerprint guest book is one of the most recent styles to hit the wedding scene. Encourage guests to get their hands dirty as they contribute to the piece of art. Feeling daring? If so, ditch the traditional good luck messages and well wishes in favour of bucket list ideas. Be warned though, you’ll have to complete them!